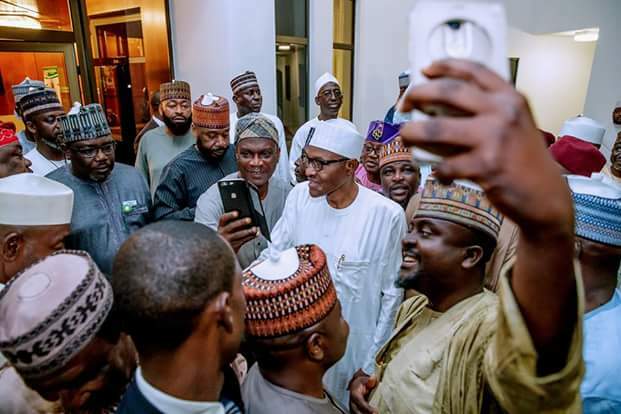 Photos of President Buhari with his “loyalists” at the House of Representatives a week before the defection. 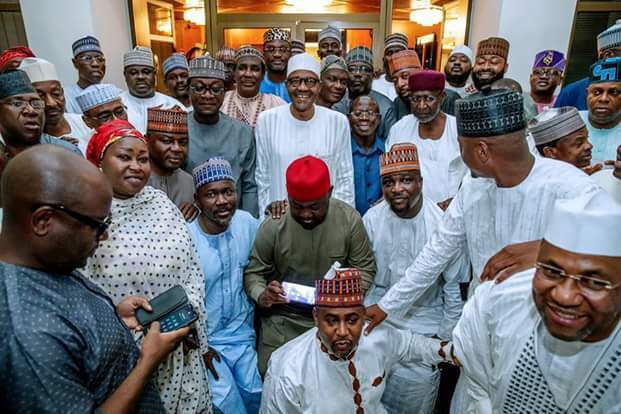 36 lawmakers elected under the platform of the ruling All Progressives Congress (APC) dumped the party today. 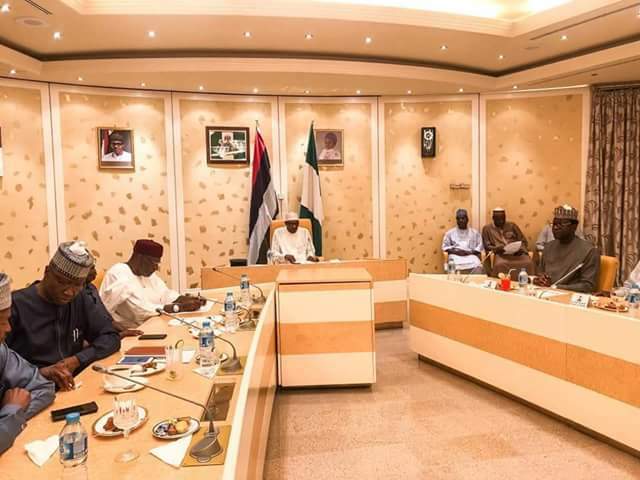 A week before, precisely on Tuesday, July 24, President Buhari held a closed-door meeting with members of the Parliamentary Support Group, comprising of his supporters in the House of Representatives, led by Hon. 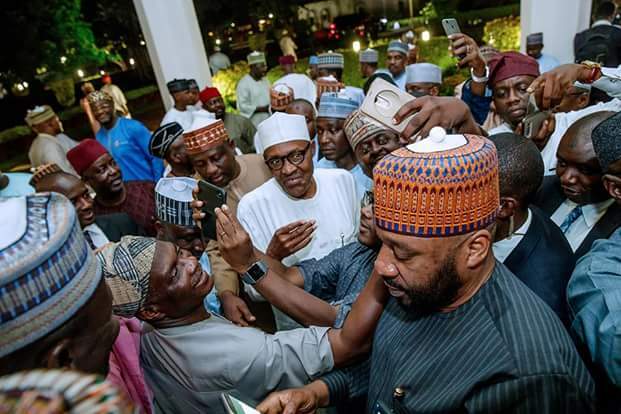 Abdulmumin Jibrin, at the State House. 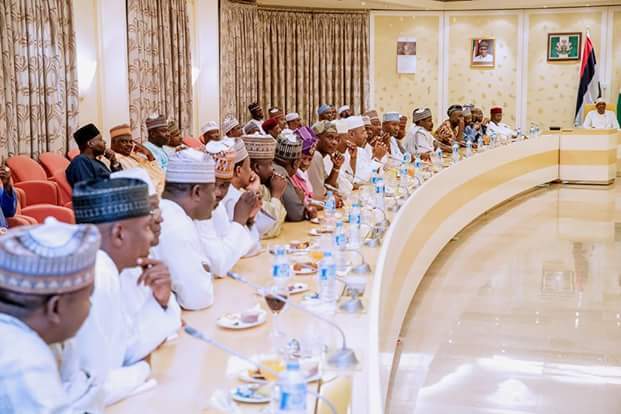 Those that attended the meeting apart from the lawmakers included, the Secretary to the Government of the Federation, Boss Mustapha; Chief of Staff to the President, Abba Kyari; Attorney General and Minister of Justice, Abubakar Malami; and the national chairman of the governing All Progressives Congress (APC), Adams Oshiomhole. 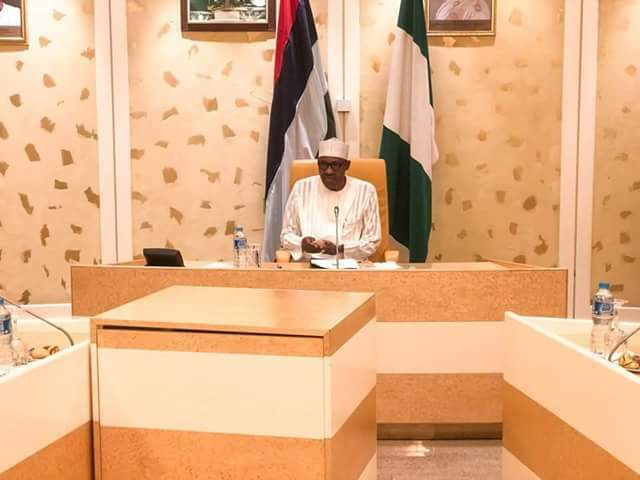 President Buhari Departs Abuja For U.s To Participate In The 72nd Session Of UN General Assembly. White House Overrun With Cockroaches, Mice And Ants.